We are Professionals Dedicated to Arizona's Water! AZ Water Association is a 501(c)(3) nonprofit educational organization founded in 1928 with a membership of 2,100 water/wastewater professionals dedicated to preserving and enhancing Arizona's water environment. Although AZ Water is an independent organization, it also serves as the Arizona section of the American Water Works Association (AWWA) and the Arizona member association of the Water Environment Federation (WEF). Fredi Lajvardi kindles your innate sense of ingenuity with his remarkable firsthand account of how he transformed a group of Carl Hayden High School students into a national champion robotics team in 2004. Fredi captivated the country when he led his team of disadvantaged teenagers in a university-level underwater robotics competition, where they defeated leading schools, including top-ranked MIT. Their story inspired the acclaimed documentary “Underwater Dreams” and was also adapted into the major motion picture, “Spare Parts,” starring actor and comedian, George Lopez as Fredi. His award-winning Falcon Robotics team is featured in the 2017 film “Dream Big: Engineering Our World” playing in theatres across the US and internationally. 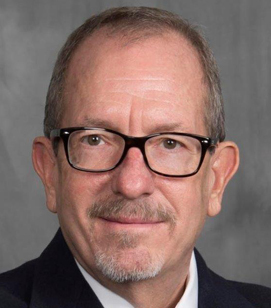 Honored with numerous awards for his spirited passion for teaching, Fredi continues to serve as a prominent advocate about the importance of STEM education nationwide. With humor and compassion, Fredi brings audiences on his inspiring journey, illustrating the need to embrace diversity and invest in people to help others realize their potential. His incredible real-life tale equips you with the real life encouragement to maximize your own potential and to work together to solve complex problems. 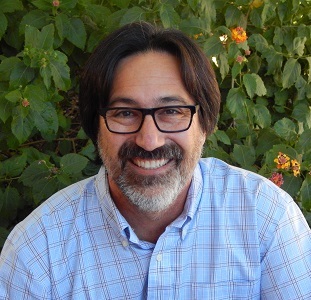 AZ Water is delighted to announce Fredi Lajvardi as our distinguished guest keynote speaker during this year's Friday luncheon. Fredi is a nationally recognized STEM Educator & subject of the critically acclaimed Documentary, Underwater Dreams, and Major Motion Picture, Spare Parts. Bill Gates served on the Phoenix City Council representing District 3 from June 2009 through May 2016. He also served as Vice Mayor of Phoenix from January 2013 to February 2014. His priorities on the City Council included fiscal responsibility; economic development; fighting blight; encouraging innovation; finding efficiencies; and improving public safety. 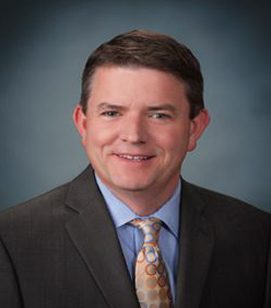 Bill Gates was elected in November 2016 to serve as the District 3 Supervisor for Maricopa County. He began his first term with the Maricopa County Board of Supervisors in January 2017. 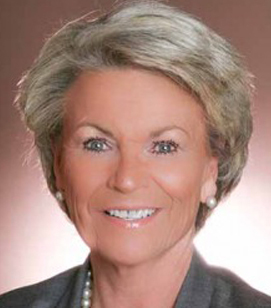 A leader in the international water community for more than 25 years, Pat Mulroy serves as a Non-resident Senior Fellow for Climate Adaptation and Environmental Policy and also as a Practitioner in Residence for the Saltman Center for Conflict Resolution at the UNLV William S. Boyd School of Law. Between 1989 and early 2014, Pat Mulroy served as General Manager of both the Las Vegas Valley Water District, a municipal purveyor serving more than 350,000 accounts, and the Southern Nevada Water Authority (SNWA), the regional agency responsible for acquiring, treating and delivering water to two million Southern Nevadans and 40 million annual visitors. Mulroy was a principal architect of the SNWA, helping to guide Southern Nevada through an unprecedented period of growth and one of the worst droughts in the history of the Colorado River. As general manager of one of the country’s most progressive water agencies, Mulroy was exceptionally active in regional and national water issues. She led Nevada’s delegation in the negotiation of numerous agreements with neighboring Colorado River Basin States and the country of Mexico. She currently serves as a member emeritus of the Water Research Foundation Board of Trustees. She previously was on the board of the National Water Resources Association and was a member of the American Water Works Association. Additionally, she was the original chairperson of the Western Urban Water Coalition, is immediate past president of the Association of Metropolitan Water Agencies, and has served on the Colorado River Water Users Association’s board of directors. At UNLV’s Boyd School of Law, Mulroy’s focus is on helping communities in water-stressed areas throughout both the American Southwest and the world develop strategies to address increased water resource volatility and identify solutions that balance the needs of all stakeholders. Jeanne has worked in the drinking-water community for more than 25 years. Recently retired, she served as the Public Affairs Officer for Fairfax Water for over 12 years. Fairfax Water is the largest drinking-water utility in Virginia, serving nearly 2 million people in the Washington Metropolitan area. For more than a decade, Jeanne worked in Fairfax Water’s laboratory. In addition to conducting sampling and analysis, she was particularly involved in the study and implementation of regulations. Having also worked in the field of regulatory development for the Government Affairs Office of the American Water Works Association, she has a broad knowledge of both regulatory and operational aspects of water-quality and utility issues. 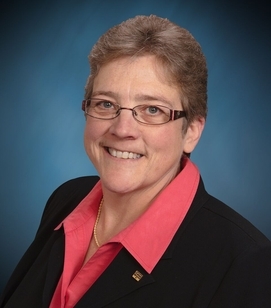 An AWWA member since 1990, she served as Chair of AWWA’s Public Affairs Council and as a member of the Diversity and Member Inclusion committee and many technical committees. Jeanne was honored as the 2014 AWWA Volunteer of the Year. Jeanne comes from the Virginia Section where she served on various committees. 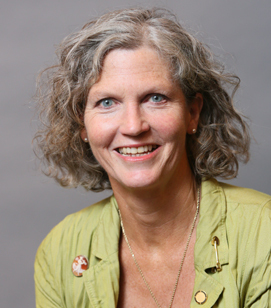 Lynn Broaddus is a member of the 2017-2018 Board of Trustees for the Water Environment Federation (WEF), an international organization of water quality professionals headquartered in Alexandria, Va.
Lynn is president and founder of Broadview Collaborative, Inc., a private sector firm that assists clients looking to provide water services sustainably. She is the former director of the Environment Program of the Johnson Foundation at Wingspread, where she led more than two dozen high-level convenings and subsequent reports on pressing concerns regarding water and society. This included the nationally recognized “Charting New Waters” (2010) and “Navigating to New Shores” that was released at WEFTEC 2014, as well as playing a key role in WEF’s nutrient roadmap. Prior to joining The Johnson Foundation, Lynn served for six years as executive director of Milwaukee Riverkeeper® and spent 12 years working for The Nature Conservancy and a related organization, NatureServe, where she negotiated the first set of national data-sharing agreements among the nation’s Natural Heritage Programs. Earlier career experiences included energy conservation program work in the low-income neighborhoods of Lawrence, Mass., and teaching biology and mathematics in rural Virginia. Lynn is a non-resident senior fellow with the Metropolitan Policy Program of The Brookings Institution. She also serves on the board the River Network, where she is the immediate past-president, and is an emeritus member of the Board of Visitors of the Nelson Institute for Environmental Studies at the University of Wisconsin. Lynn lives in Minneapolis, Minnesota with her husband Marc Gorelick and has two (very independent!) adult sons. The Central Arizona Project is Arizona's largest renewable water supply, transporting and delivering approximately one-half of Arizona's Colorado River apportionment to the interior of the state. Ted was appointed General Manager in March 2016, reporting to the Board of Directors and responsible for carrying out the Board's policy directives and overseeing all operational aspects of CAP. Previously, he was Interim General Manager and Deputy General Manager, Finance and Administration.Ted joined CAP in 1999. Ted's 35+ year career in utilities, technology, finance and operations has also included positions at Xerox Corporation, Luz International Limited, the world's pioneer commercial solar thermal power developer and operator, and OESI Power Corporation, a binary geothermal power developer and operator. 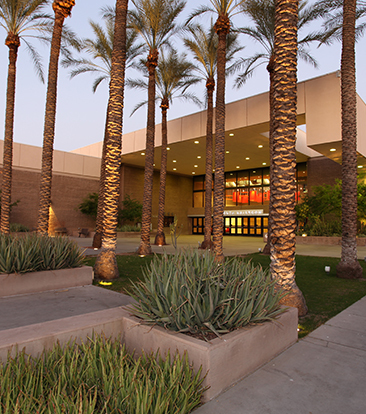 All conference technical sessions and exhibits will be held at the South Building of the Phoenix Convention Center. The South Building offers a single level, self-contained experience for our conference participants, which translates to no need for elevators or long walkways between sessions or events. The Phoenix Convention Center is located in the heart of downtown where you can enjoy the 91st Annual AZ Water Conference & Exhibition and explore the city. Whether you are new to Phoenix or perhaps in your own backyard, you can enjoy new sights, new sounds and new culinary delights within a short walk or quick ride from the conference venue. The METRO Light Rail is an easy and convenient way to travel to and from the Phoenix Convention Center, airport and many areas of the valley. Conference parking is available at the East Parking Garage and AZ Water has made arrangements for each attendee to receive a FREE parking voucher with conference registration.